Excellent value parking. Easy to find, quick transfer and only a short wait to be picked up. 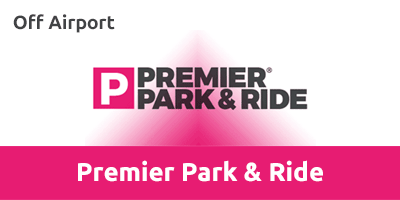 Flying from Luton Airport, then look no further than Premier Park & Ride. It’s the perfect airport parking solution for those who don’t want to be too far from the check-in desks. Just half a mile from the airport, transfers run both day and night, taking just four minutes to reach the terminal building. It’s the ideal park and ride service for anyone in a rush. Transfers run every 20 minutes and take five minutes to arrive at the airport. PremierPark and Ride features CCTV, security fencing and regular patrols so you can relax knowing your car will be safe while you're away. If disabled customers require assistance, staff will be on hand to help. At the roundabout take the third exit for New Airport Way. Continue onto the New Airport Way (A505). At the roundabout, take the second exit onto Vauxhall Way/A505. At the next roundabout, take the fourth exit, proceeding through the Green Gates into Restricted usage road. As you drive into the Premier Park & Ride Car Park, keep right and follow the road ahead. Continue straight ahead to the car park. An attendant will greet you and present you with a return card, featuring your vehicle identificatio,n and will load your luggage allowing you to board the shuttle. An attendant will park your vehicle for you. Special Note: While the journey time to the terminal is typically four minutes, please allow extra time if travelling during the rush hour. After you have cleared customs, please call on the number provided to request collection - the shuttle will meet you inside the Passenger Car Drop-off area. On return to the customer reception, please present your return card to receive your keys.